Shaw Nature Reserve Education staff instruct numerous classes year-round. Check out the event calendar below to see a monthly view of class offerings. Register for classes. For questions about Shaw Nature Reserve Adult and Family classes, call Rachel at (314) 577-9526. There are no events for the selected date, but there is plenty to enjoy at the Shaw Nature Reserve! Click on Things to Do at the Shaw Nature Reserve to explore some of our featured attractions. 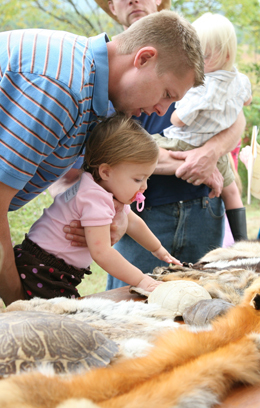 Shaw Nature Reserve hosts a variety of events throughout the year. The Daffodil Dash and the Spring and Fall Shaw Wildflower Markets are annual events. We also have a biennial Prairie Day in September. New in summer 2018 was the WildFlower Concert Series and in fall 2018 we hosted the Fine Gardening Symposium. 2019 sees the inauguration of the Chamber Music Series. Sorry there are no events for the selected month.